One challenge as an online interior decorator is finding a ready-made series of art, that look curated, beyond the standard botanical or fruit print. 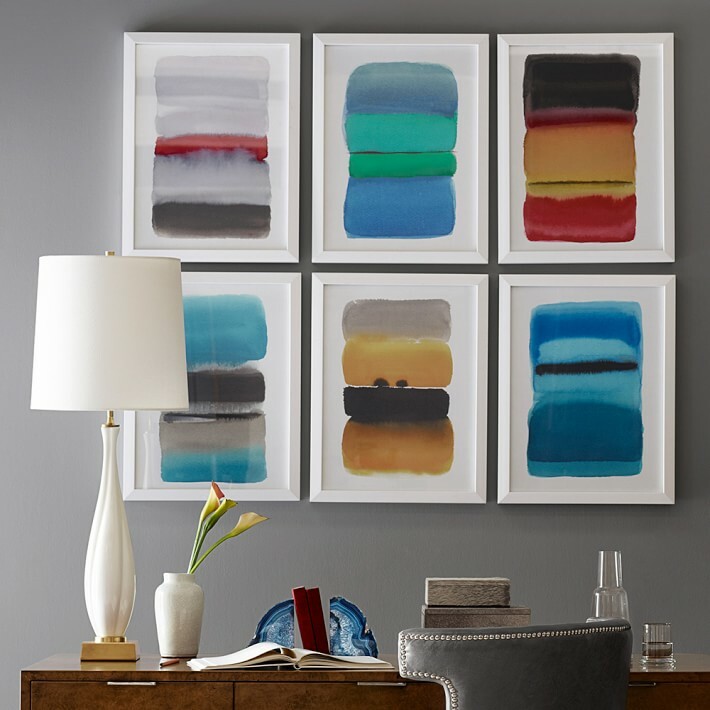 This is why I was so excited to discover these abstract prints, available in a series, from Williams-Sonoma Home. Groupings art together make a bold statement in almost any room. Something about hanging a series of similar piece together to make a large composition speaks cool, refined and strong sense of style. Reminiscent of Rothko’s artwork, Marinella Perosa: Ombré Landscapes are colorful almost linear works of art work. Together they create an unexpected yet totally awesome twist on an art grouping. The composition is strong enough that this series could be used alone in a room as a singular statement. Love these framed works of art so much I may need for my own home!